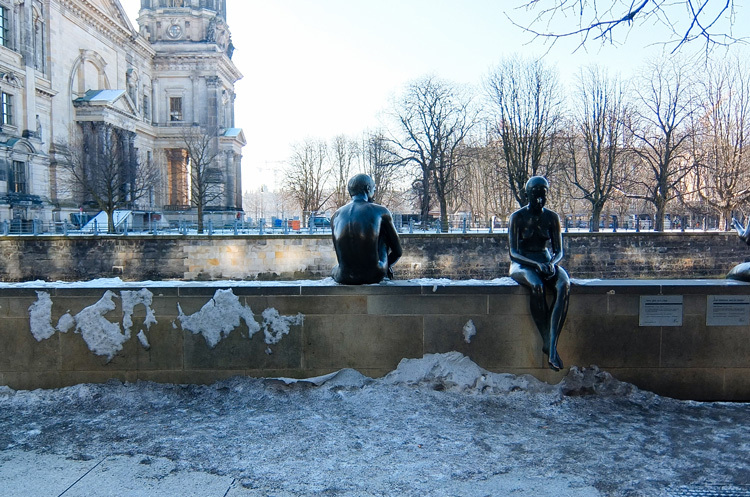 Over the past few years Berlin has become one of our favourite destinations for a short break away. 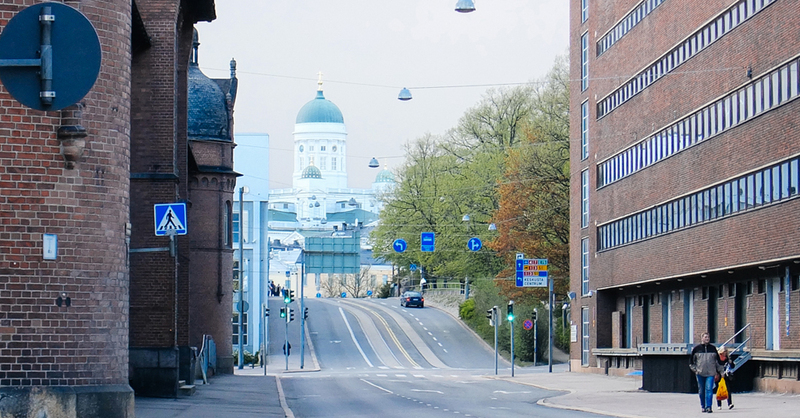 The city is constantly evolving and there are always new things to discover every time we’re back. 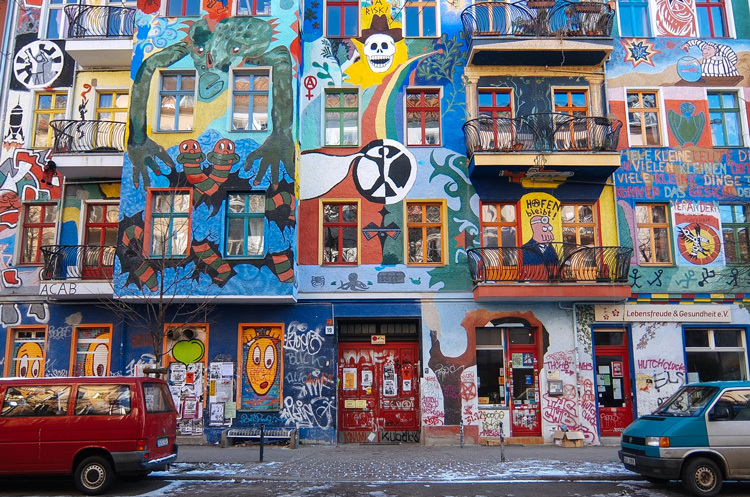 From the impressive shopping experience in Mitte to the food scene of Kreuzberg, there’s something for everyone in Berlin. Because of Berlin’s size and all it has to offer, it’s difficult to create a guide that covers most of it. 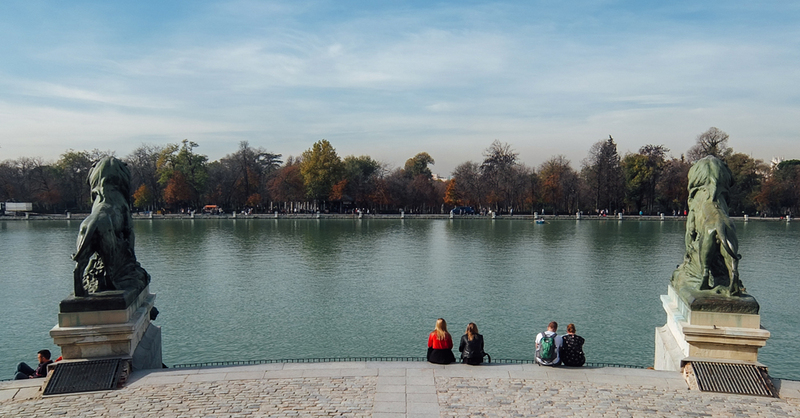 That’s why we’ve only included a small selection of our favourite places to eat, shop and visit in this City Guide and we hope you find it useful if you’re planning your first trip to Berlin. 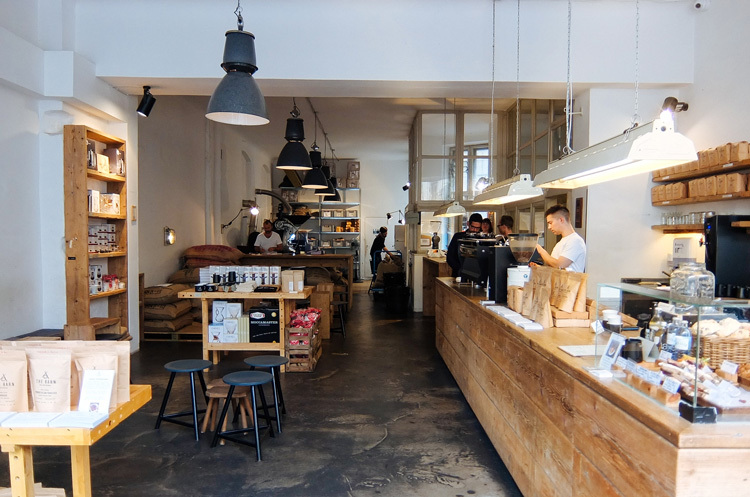 The Barn is considered one of the leading specialty coffee roasters in Germany and it has influenced the style of numerous coffee shops around the world. 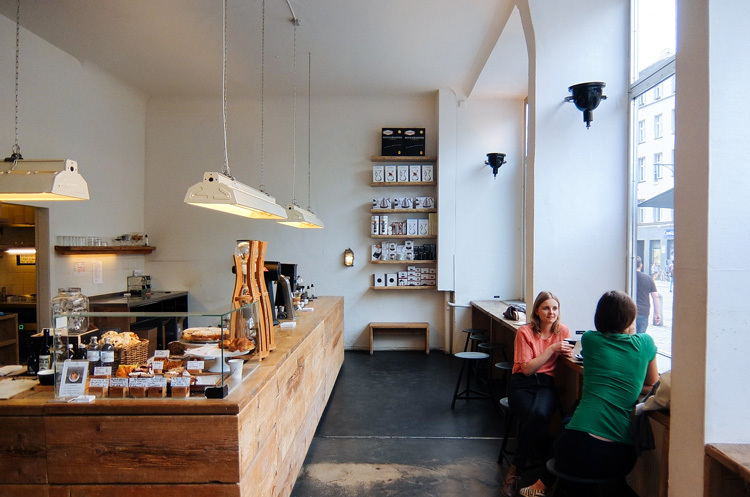 The Barn opened their coffee shop on Auguststrasse 58 in 2010, followed by The Barn Roastery in 2012. The Barn Roastery focuses on a small menu designed to showcase different brew techniques, served in a quiet and industrial-looking space. 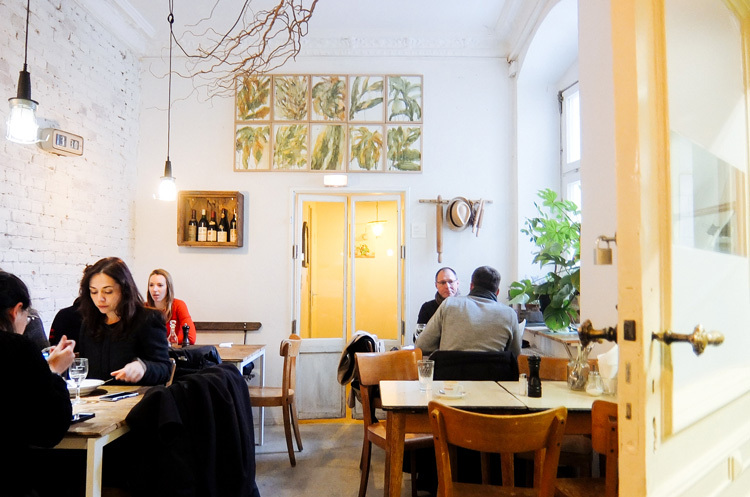 Located in a former Jewish girls school in Mitte, Mogg & Melzer is a deli serving a nice variety of salads, sandwiches (the pastrami sandwich is their speciality) and main dishes. The atmosphere is relaxed, with only a few tables and an interesting selection of magazines to be enjoyed while eating or having a drink. Apart from the deli, the guys from Mogg & Melzer also operate a catering service and regularly appear at street food events around Berlin. 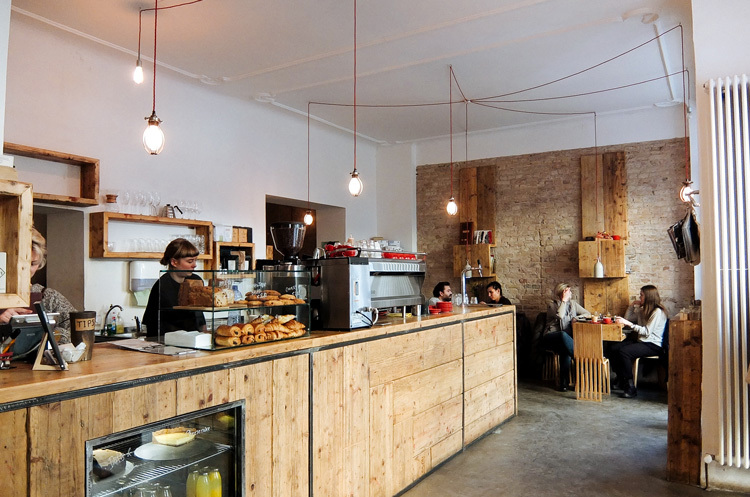 Silo Coffee is a popular breakfast spot in Friedrichshain. 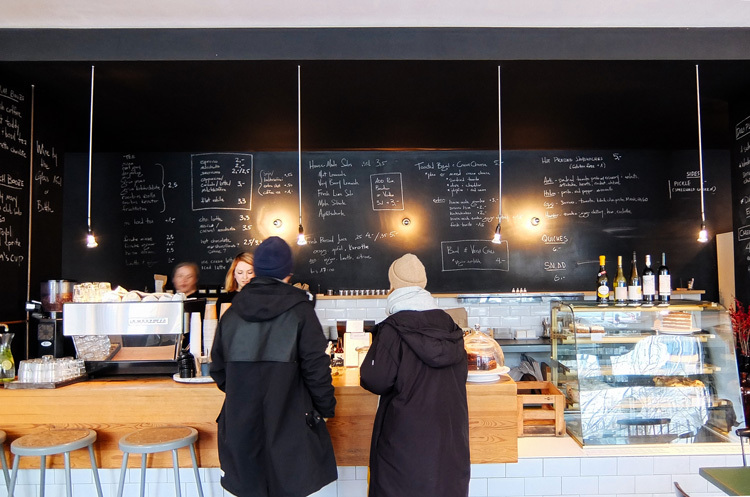 This coffee shop run by Aussies can get quite busy even during weekdays, so it’s recommended to go early in the morning if you want to make sure you can get a seat. The whole menu is delicious but we definitely recommend the pancakes, served in small pans with a great variety of toppings. 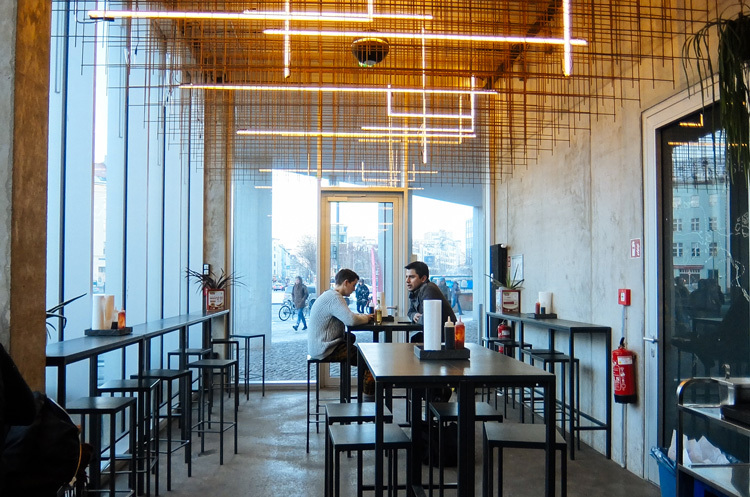 Located in the Kreuzberg neighbourhood, Pacifico is a burger joint serving Asian fusion fast food. 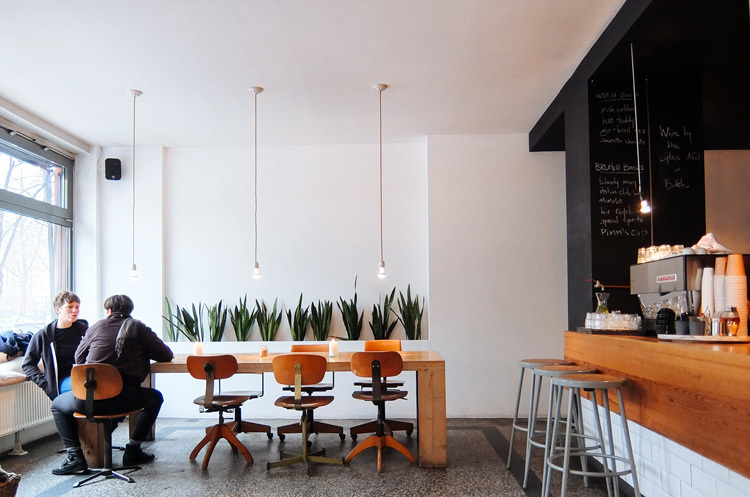 With a minimalist interior lit by fluorescent lamps, Pacifico is the perfect place to grab a quick and cheap bite whilst exploring this side of the city. The menu is structured into three types of dishes: burgers, rice bowls and bao tacos, which can be accompanied by different sides. 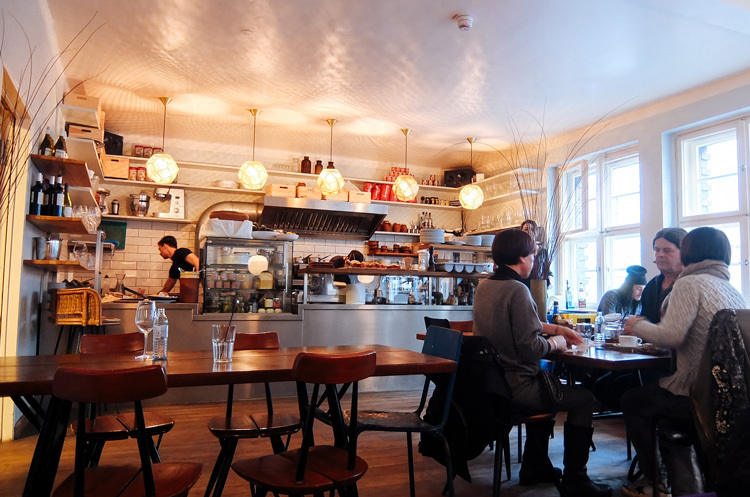 Aunt Benny is another popular place for breakfast in Friedrichshain. Founded by two Toronto siblings, Aunt Benny was conceived with the idea of offering simple, North American-inspired quality food. The small and beautifully designed space features a communal table and a few smaller tables where you can enjoy their tasty savoury and sweet dishes. Salumeria Lamuri is an Italian restaurant and café in Kreuzberg. The beautiful interiors across the two floors are completely different to anything else you can probably find in the city, making you feel as if you were in a small Italian village. 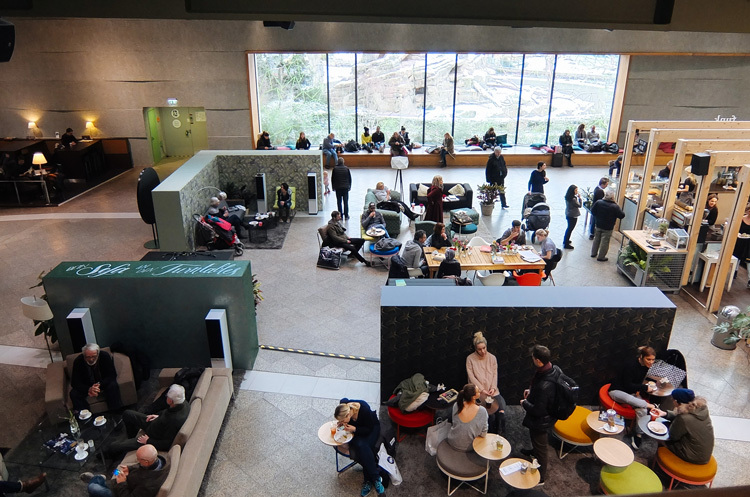 The food offer is also really good, ranging from small bites and antipasti options like ciabatta and burratina to larger dishes such as homemade pasta and other specialities. 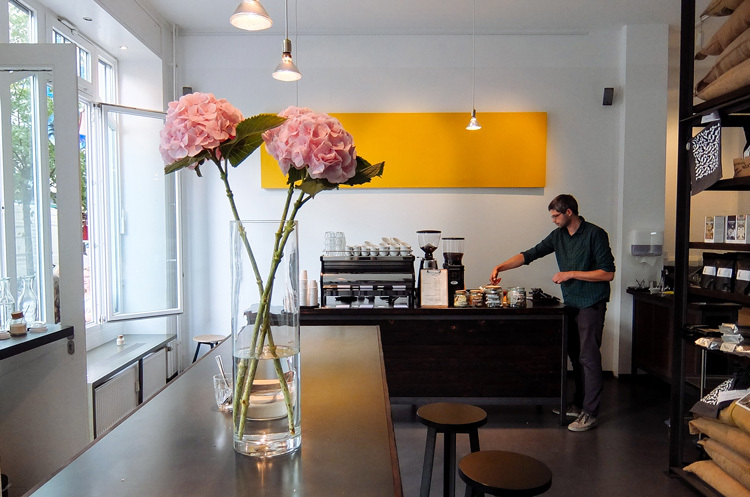 Also in Kreuzberg, Nano Kaffee is another specialty coffee shop serving delicious brew from different German roasters. The small space is decorated with minimalist pieces of furniture and feels relaxing and comfortable. Apart from enjoying the coffee menu and pastries, you can also buy beans and different products to prepare your own coffee at home. 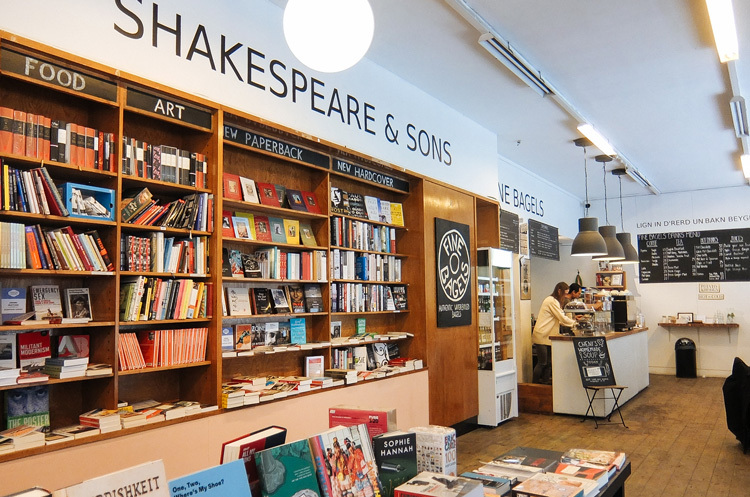 Books and bagels, that’s the concept behind Shakespeare & Sons in Friedrichshain. 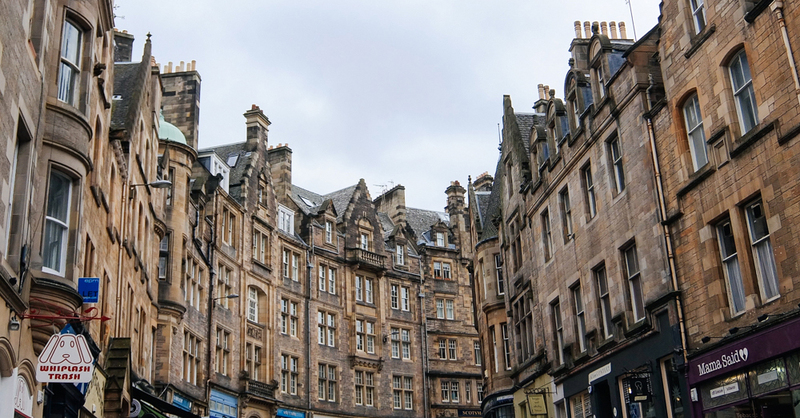 This bookstore stocks a wide variety of books from different genres in English and French that you can purchase whilst you enjoy fresh bagels prepared by Fine Bagels. The bagel offer is very diverse and you can choose your own type of bagel and fillings from their long list of combinations. 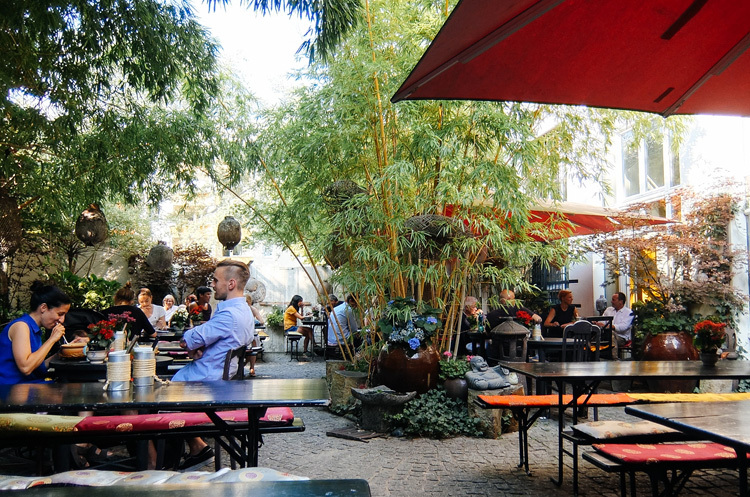 This Vietnamese restaurant and tea house in Mitte is the perfect place to escape to when you need a quiet and relaxed space in Berlin. The ‘hidden’ garden at the back of the restaurant is great to enjoy the delicious shakes and the rest of the tasty food offer. A heaven for magazine lovers, Do you read me?! 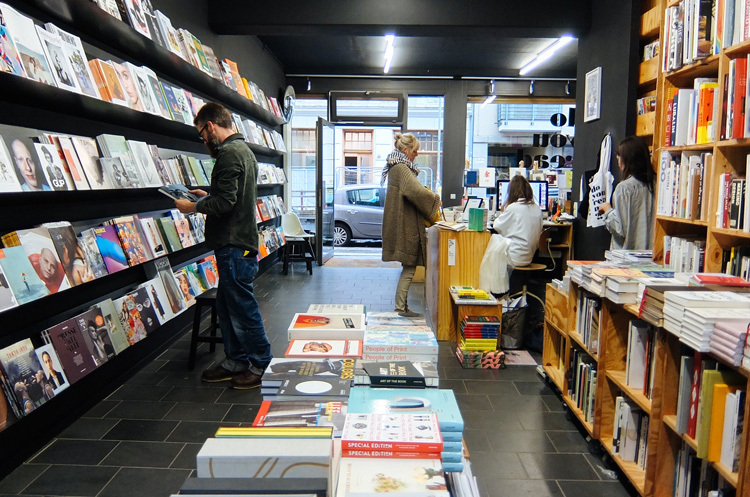 in Mitte stocks an incredible selection of independent publications and books. From fashion to art, if you’re looking for something in particular you will probably find it here. Although the shop is not too big, we recommend visiting with enough time if you want to make sure you can check everything that they offer. 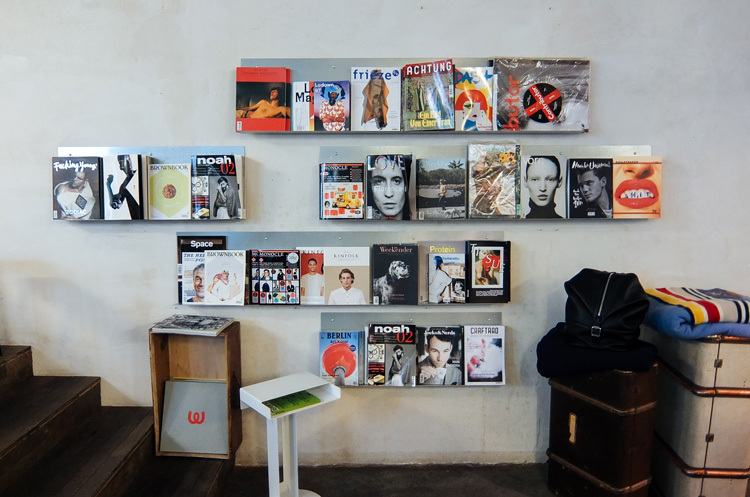 No Wodka is a concept store and gallery bringing Polish art, fashion and design to Berlin. Ranging from furniture and clothing to design objects and magazines, everything sold at No Wodka has been designed and manufactured in Poland. 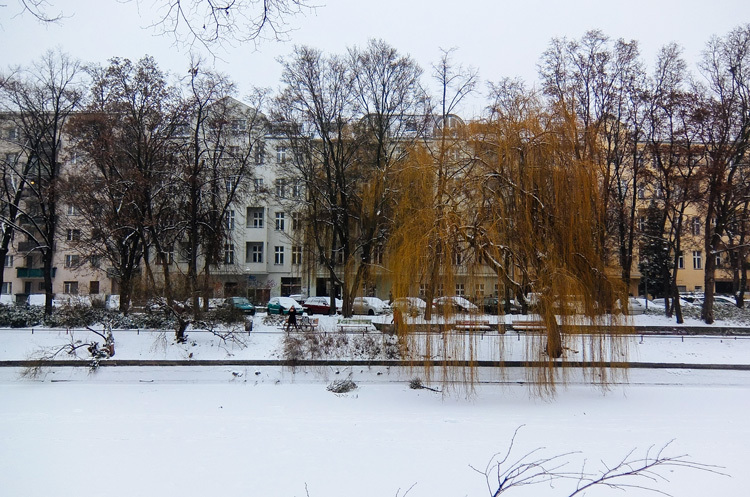 What’s interesting about this space in the Prenzlauer Berg neighbourhood is that pieces by emerging designers can be found next to works by established brands, reflecting the state of contemporary design, fashion and art in Poland. Over the past few years Voo has become one of the most famous clothing stores in and outside Berlin. 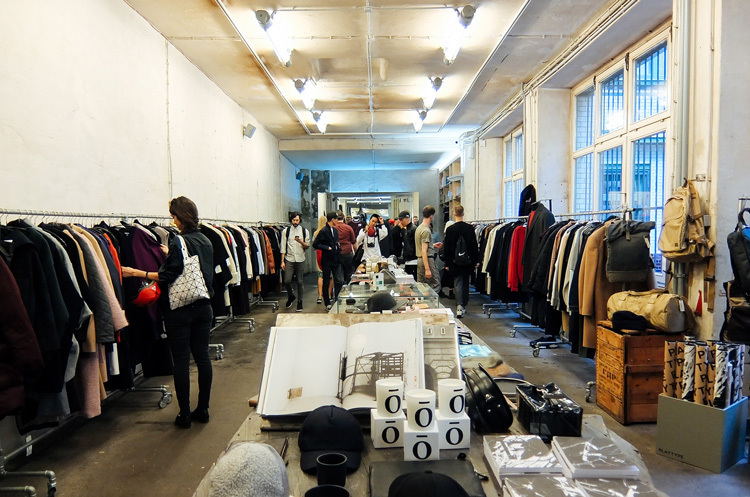 This industrial space stocks a great selection of menswear and womenswear brands, ranging from accessible labels to high-end designers. 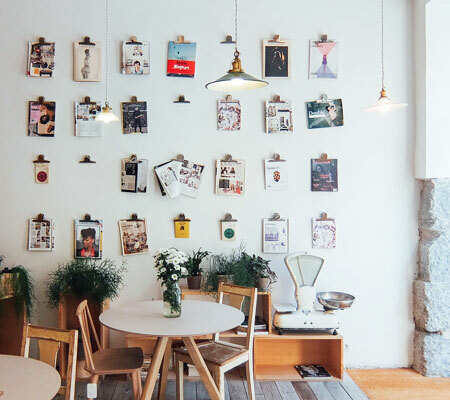 Voo also sells a diverse variety of goods including candles, cups, magazines and stationery. It is also home to Companion Coffee, a small café where you can enjoy coffee, tea and pastries while you shop for the latest trends. Papier Tigre is a French company specialising in stationery products and paper goods. 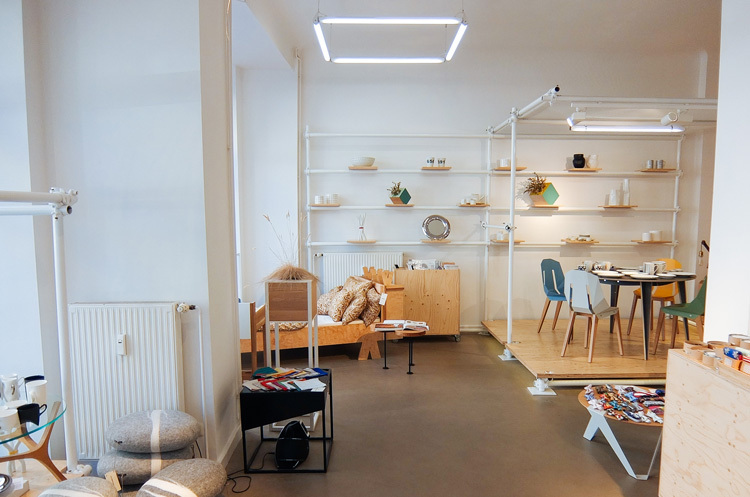 They have a shop in Paris and recently opened their second store in the Mitte neighbourhood. 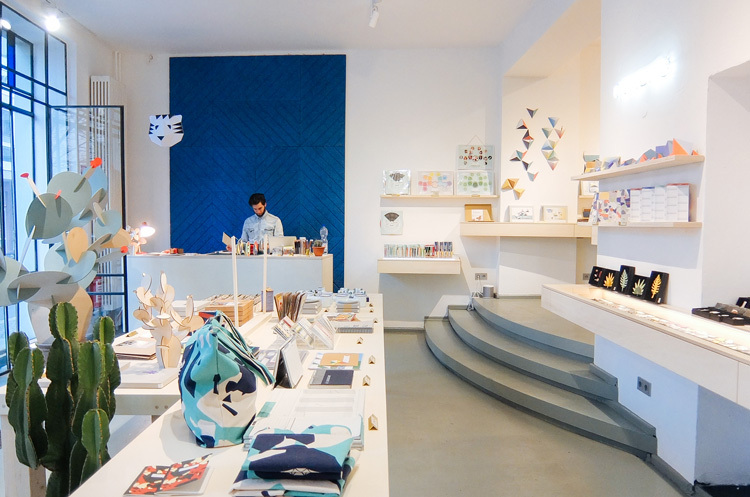 Inside this colourful space, you’ll find everything you can think of made of paper, from cards and notepads to small accessories and decorative objects, and also other products such as canvas bags, pins and socks. 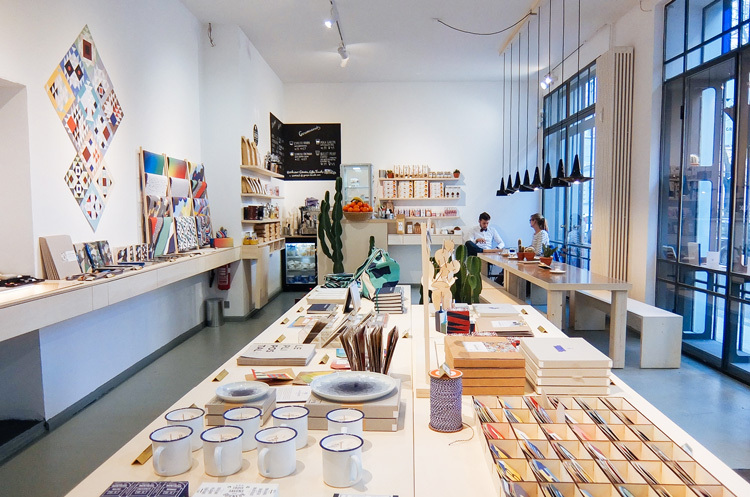 There’s also a café area and the staff at the store are friendly, so make sure you pay Papier Tigre a visit if you want to bring home with you a different souvenir from Berlin. If Do you read me?! 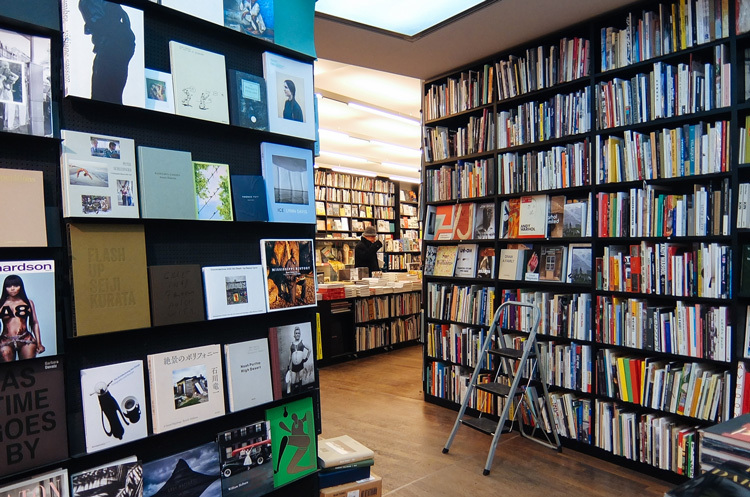 is the perfect destination for magazine lovers, Buchhandlung Walther König is the place to go to if you’re looking for art and design books. 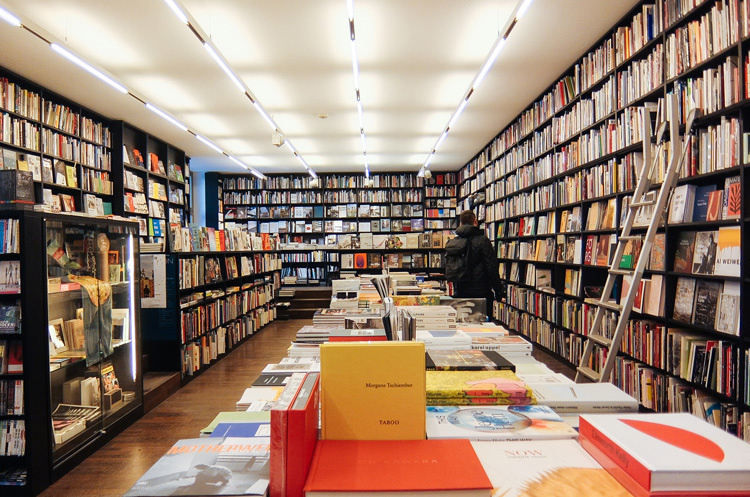 This impressive store is filled with hundreds of books, ranging from contemporary titles to hard to find editions from past decades – there are so many books that it’s not difficult to spend hours browsing through all the different category shelves. 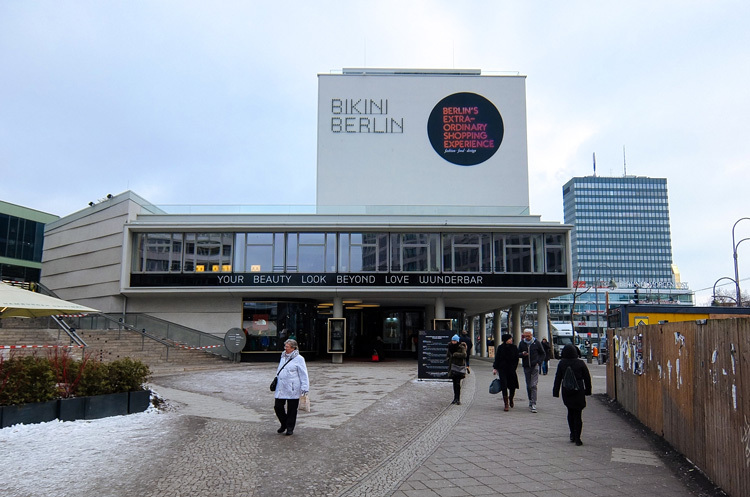 Located next to the zoo in West Berlin, Bikini is considered the world’s first concept mall. This concrete and glass building houses a collection of carefully curated boutiques, concept and flagship stores, and bars and restaurants. Inside you can find numerous stores dedicated to design and fashion, including Vitra ♥ Artek – the union between the two design giants – the lifestyle shop of German publisher Gestalten and one of the stores of Berlin-based eyewear company Mykita. 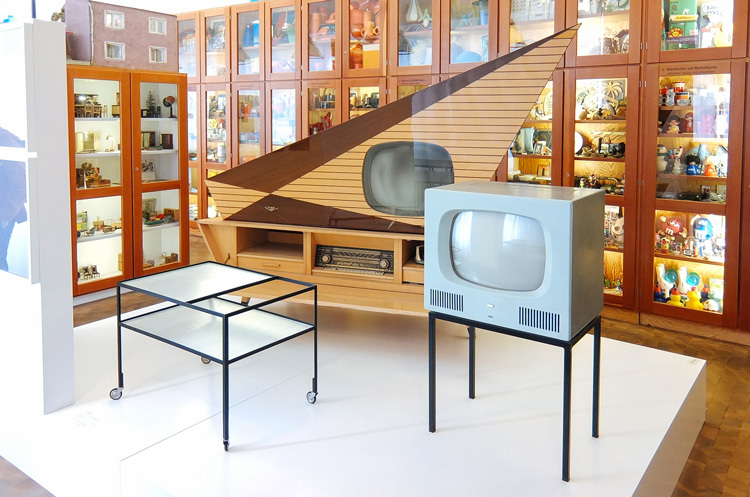 The Museum der Dinge (Museum of Things) is a museum dedicated to the product culture of the 20th and 21st century, characterised by the industrial mass production of goods. 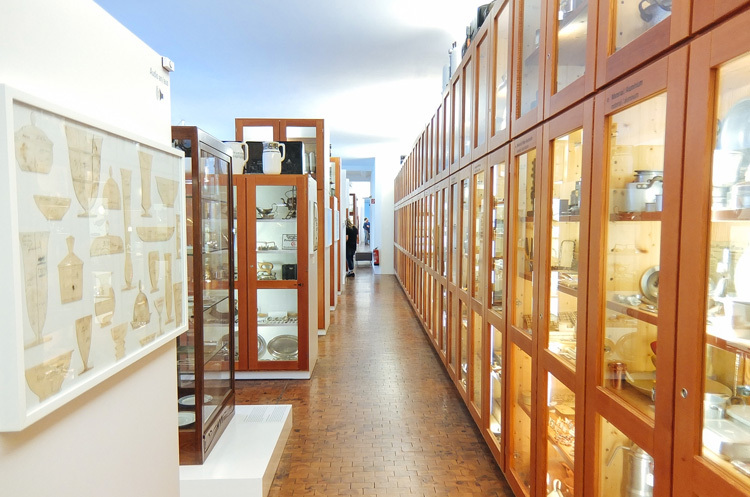 This walk-through warehouse displays more than 20,000 objects from its permanent collection, ranging from homeware to kitsch decorative items. 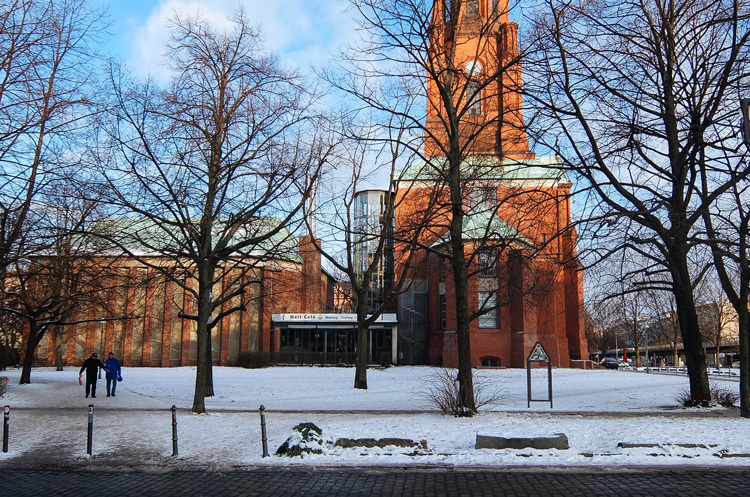 The museum also hosts themed exhibitions related to design culture and history in Germany. 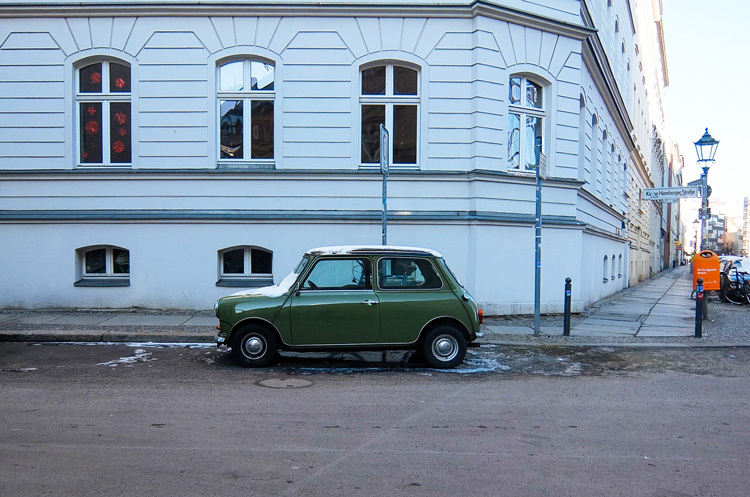 C/O Berlin is a gallery dedicated entirely to photography. 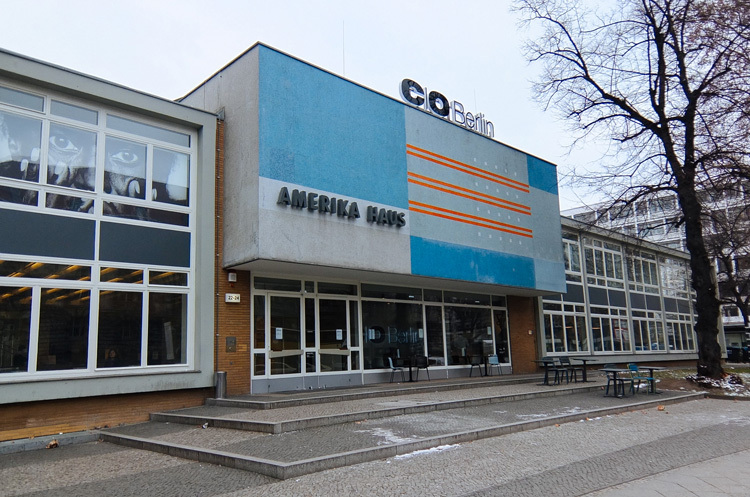 The gallery recently moved from a classical building in Mitte to Amerika Haus, a historical building in West Berlin built for German citizens to learn about American culture and politics. 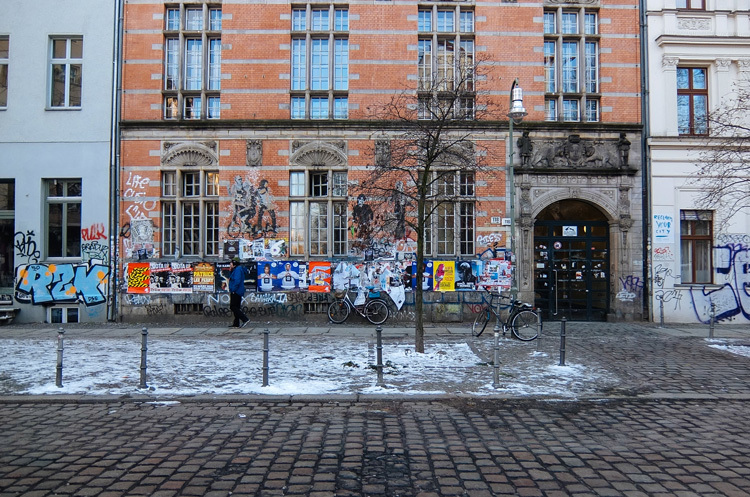 C/O Berlin is known for its excellent programme, usually putting together vast exhibitions focused on a single artist. 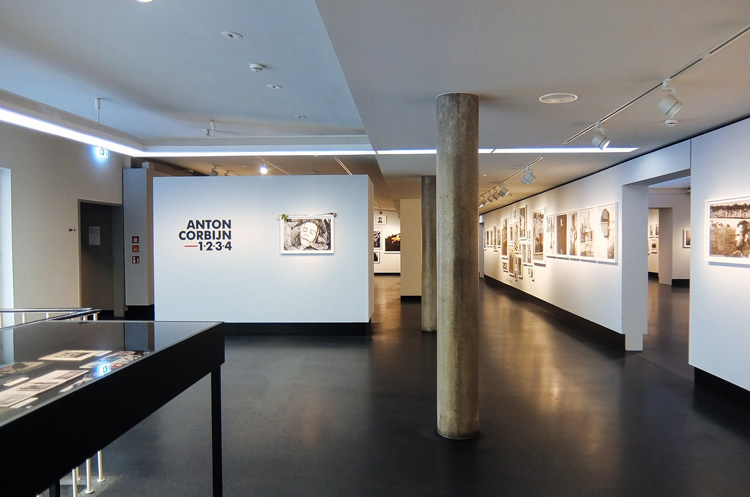 When we visited, we had the chance to see an impressive retrospective of Dutch photographer Anton Corbijn. Also known as the Memorial to the Murdered Jews of Europe, the Holocaust Memorial is composed of 2,711 concrete pillars over 19,000 square metres. 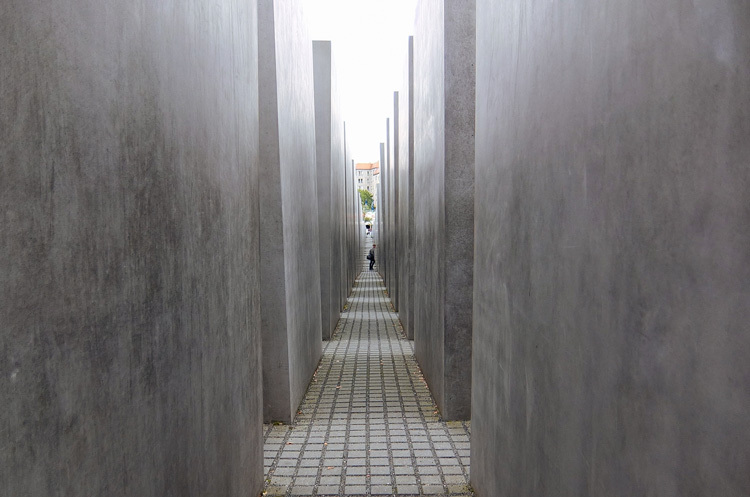 Designed by architect Peter Eisenman and engineer Buro Happold, the memorial allows visitors to enter the structure from all four sides, with the wave-like shape of each side perceived in a different way depending on where you are. 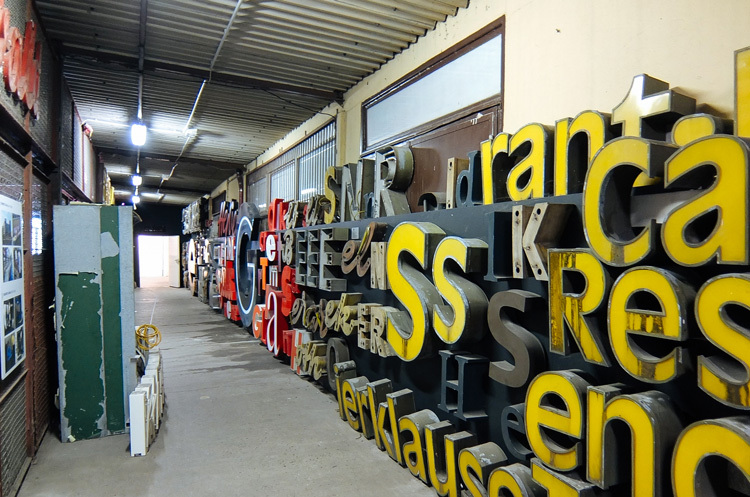 The Buchstabenmuseum (Museum of letters) is the first museum in the world to collect letterforms from public spaces and signs, and display them as part of urban history. 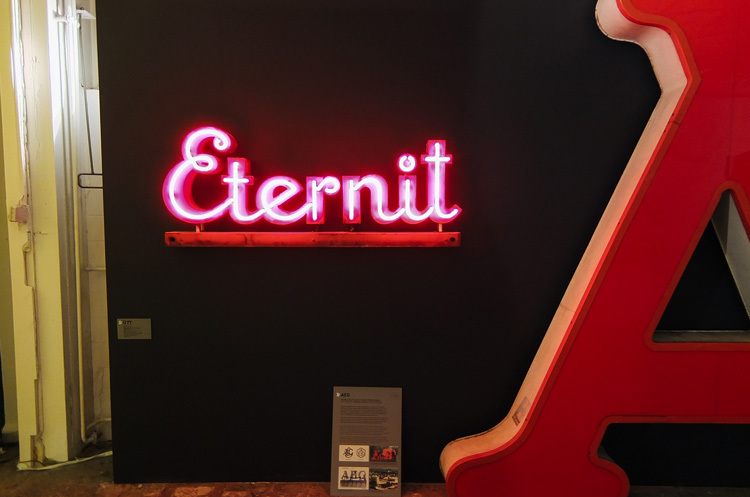 This unique museum is dedicated to preserving, restoring and exhibiting signage from Berlin and other parts of the world. The museum is currently closed for relocation but you can visit the museum shop at Bikini (see Shop section).